Hi, I am currently on leave and unable to take further enquiries until Tuesday 7th May. Welcome! I am a fully qualified Counsellor and Clinical Supervisor and an Accredited, Registered member of BACP. I have over 10 years counselling experience working in a variety of settings, including GP surgeries, voluntary sector organisations, Employee Assistance Programmes and private practice. 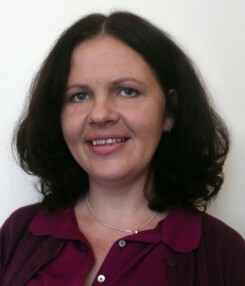 - I offer face to face counselling for adults, young people aged sixteen and over and couples. I can usually offer you an appointment within 7 days. - During my career I have studied a range of therapeutic models including Person-Centred, Psychodynamic, CBT and Mindfulness based approaches to enable me understand and help people in distress and those seeking personal growth. - Experience tells me that there is no such thing as a typical client - certain types of counselling suit some people more than others, so I draw from a range of approaches to provide the right help for you. - We would meet in a discreet, comfortable consulting room in the centre of Shrewsbury. - We will decide together how many sessions you are likely to need to achieve your goals. Often we can make a difference in as few as 6 sessions, but more can be available if needed. If you have any questions or need more information please feel free to get in touch.